The holidays are fast approaching, and that means finding new ways to get the family off the couch and interacting with each other during time off school and work! If you aren’t careful, what begins as a fun family gathering can quickly turn into an afternoon spent on mobile devices. Do something different this holiday season with a game of laser tag at Q-ZAR, one of the top arenas in Carle Place, NY! 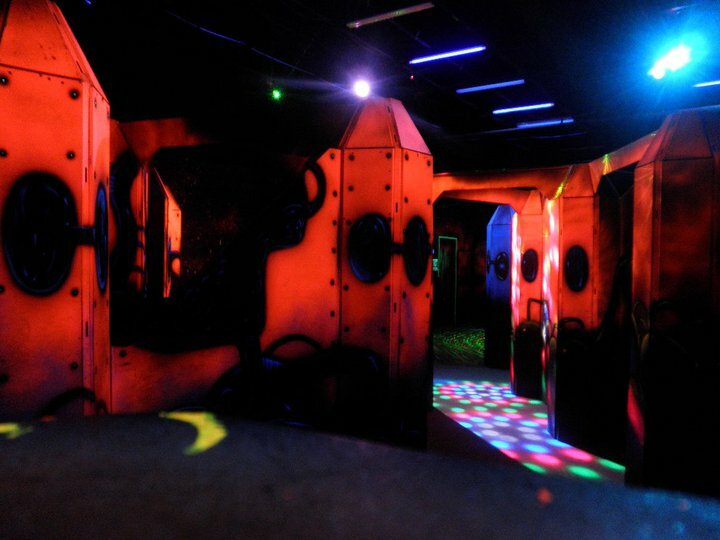 You’ll be hard-pressed to find a better local laser tag arena than this one. Featuring more than 4,000 square feet of state-of-the-art lights and intricate mazes, this facility provides each player with a personal sensory vest and laser handset. After a brief overview of the rules, participants are released into the arena to stake out their positions. The free-for-all commences after the laser tag game monitor gives the signal. Fun Exercise: Laser tag is a great way to get kids up off the couch and moving around. Exercise doesn’t always have to involve a monotonous routine—just dodging around a corner or ducking behind a barrier is enough movement to work different muscle groups and raise your heart rate. Family Time: What child doesn’t want to chase their sibling with a laser handset? The friendly competition and teamwork involved in a laser tag game will create a playful family memory for everyone to enjoy. Friendly Competition: There’s no pressure when it comes to a laser tag game. It’s all about friendly competition to see who can rack up the most points in the allotted time frame—a much better entertainment option than sitting on a couch and staring at a screen. Don’t neglect to include this fun pastime in your future holiday plans. From laser tag to classic arcade games, Q-ZAR has something to pique every interest. Call (516) 877-7200 today to talk to a staff member about play times, or visit the website for additional information. Want more tips for fun family entertainment? Connect with Q-ZAR on their Facebook or Twitter pages! Open Play Today! 12-4 only $15 Unlimited Games!